Home » History » Whos "Brains of the Revolution"? » Whos "Brains of the Katipunan"? Whos "Brains of the Katipunan"? Filipino General during the Philippine Revolution. He was one of the highest-ranking officer in the Philippine Revolution and was one of the highest-ranking officers of the revolutionary society Kataas-taasan, Kagalang-galangang Katipunan ng mga Anak ng Bayan, or simply and more popularly called Katipunan, being a member of its Supreme Council. 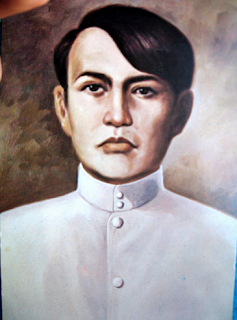 He was elected Secretary of State for the Haring Bayang Katagalugan, a revolutionary government established during the outbreak of hostilities.